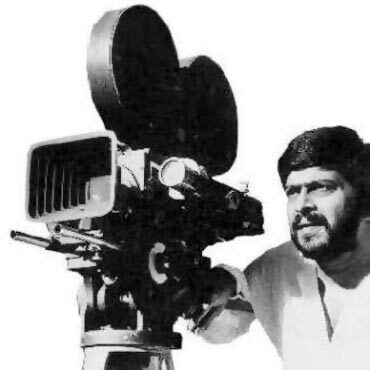 Twenty years ago, on September 30, 1990, when the whole of Karnataka was in Dasara festive spirit, the news of actor Shankar Nag's death in a road accident came as a shock to his innumerable fans. Even to this day, the industry is yet to make up for the loss. Shankar, a theatre artiste and aspiring director started acting in films on the insistence of his actor brother Ananth Nag. He established himself as an actor in his very first film Ondanondu Kaaladalli and went on to give gems like Nodi Swamy Navirode Heege, Auto Raja, CBI Shankar, SP Sangliana, Accident and Minchina Ota (in which he acted alongside Ananth Nag). While Shankar was adored for his role in SP Sangliana, it was Auto Raja that immortalised him among the masses. 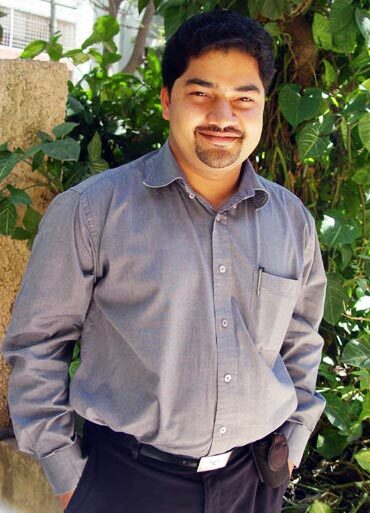 His pairing with actresses Jayamala, Gayathri, Akshata and Tara were particularly popular. Shankar also has the distinction of having both acted with and directed legendary actor Rajkumar. He also holds the record of having 15 films released in a single year just after Rajkumar, who saw 16 of his films releasing in a year. His other feat was Malgudi Days, a serial that he directed for Doordardarshan. The serial was based on R K Narayan's book by the same name. Shankar's contribution to theatre has also been immense. Even after becoming a superstar, he didn't stop making plays. His wife and actress Arundathi Nag even to this day keeps his passion alive through her theatre space Ranga Shankara located in Bangalore. 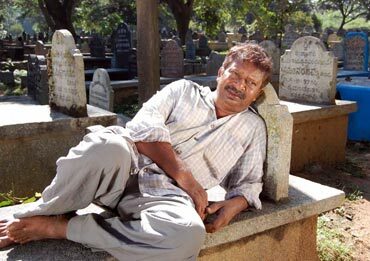 Twenty years after Shankar's death, his inner circle relives its best Shankar Nag moments. Kashi, actor and member of Sanket theatre recalls working with Shankar. Unique, that was Shankar Nag for me. He was a leader and a visionary, the sort I am yet to come across again. He was ahead of his times and always had the interest of the society in mind. Ropeway for Nandi Hills, low cost housing for the poor and metro rail for Bangalore were among his futuristic visions. In fact in 1986, he had even built a low cost house in just three days in Yalahanka. The material and technology was from Austria. At the same time the Housing Board also built around 1000 houses for the poor. Today it is the house that Shankar built that still stands, while the others houses have collapsed. And the irony is that the Housing Board has made the house their office! He was also for building hospitals for the poor. One day he came home and asked for a map of Karnataka. He then took it out, divided it into four parts asked me and a couple of others to pick our favourite parts of the state. Even before we started thinking he was planning to get us land in those portions. He asked us to survey those areas geographically and economically and list the needs of the poor people residing there. He wanted to build a hospital every 100 kms. Having also felt the need for a metro for Bangalore, he had sent us to Delhi, Mumbai and Chennai to observe the train system. He had become a fan of the metro when he had gone to London to receive an award for Malgudi Days. Speaking of the serial, I still remember the time when he had taken four test episodes to Doordarshan for approval. In those days there was a film critic called Amita Malik. She was dreaded by the film circle for her critical reviews. But after having seen the test episodes, she had written a half page article on how Malgudi Days was the best thing that had happened to Doordrashan. When we were gloating, Shankar told us to just get started on the next episodes. He let neither success nor failure get to him. What next? was the question that was on his mind always. They say mercury runs fastest, but Shankar was one step ahead. Shankar was like a bubbling soda bottle. He enjoyed every moment of his life, be it shooting, spending time with friends, driving or attending a business meet. He was also a very unassuming individual. I still remember the rehearsals for Sandhyachaya, my second play with him. He used to go out, get tea and biscuits and serve the team himself despite being a huge star. He had no hang-ups and was as cool as ice. B Jayashree, theatre artiste shares her fond memories of Shankar. Shankar was a multi-faceted personality. But above all that, he was a great human being. Cast and class barriers never existed for him. He had no enemies and was a very warm and trustworthy individual. I met him soon after he had shifted base from Mumbai. Despite being from the Mumbai theatre circle, he had no hang-ups. He walked into Kalakshetra while I was rehearsing for a play and after watching the play, he said in his Marathi mixed Kannada that he wanted to direct me in a play. That's how Barrister happened. My character was to have a tonsured head and it took a while for him to convince me to carry that look. Mine was the opening scene and I still recall how Shankar had boosted my confidence before going onto the stage. Being part of his other play Nagamandala was also a fabulous experience. 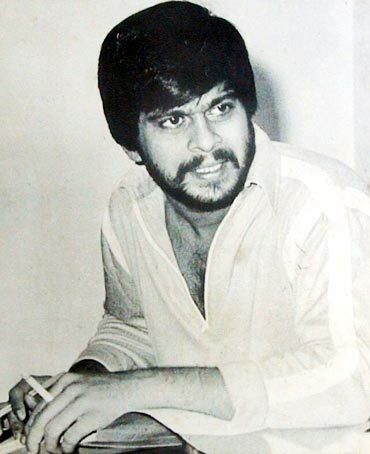 Shankar Nag was a fabulous human being. He was very energetic and it is this energy that he transferred to us that that has kept us going. If you live, you must live like him. Ramesh Bhatt, actor recalls Shankar as a people's person. Shankar Nag came sans any starry tantrums. Even if he found an insect in the food served to him, he would just throw it out and continue eating. He was against wasting anything. He utilised the inner part of a cigarette pack to make notes or send messages to people on the set. He never liked wasting time either. I guess that's why he never waited for a changing room or a van to change costumes. He changed as and when he got off the car and was ready to face the camera in a jiffy. Shankar was a people's person. He loved being with friends and on impulse, used to hold screenings of football and cricket matches and get people together. Another thing he enjoyed was playing the tabla. He was a darling of his fans too. The fact that even to this day, auto drivers have his photo on their autos is testimony to his popularity. Shankar was a serious professional too. He was a good director and people who have worked with him command great respect. Even to this day if people come to know that I've worked with him in his films and Malgudi Days, they salute me. Master Manjunath, who acted as Swamy in Malgudi Days shares his memories of the star. For Shankar Nag, education and relationships were top priorities. In fact it was because of him that I went on to complete my education. I took a break from films at the prime of my childhood as he had by then instilled the importance of education in me. He was also the one who developed the reading habit in me. He stressed that it was through books that we would be able to travel the world. Today I have a collection of 2000 novels! He was also a multitasker and never wasted time. If he had nothing to do, we used to find him playing crossword. He had a way with kids too. While shooting for Malgudi Days, we kids were a bunch of brats and it would have taken only someone like Shankar Nag to handle us. He was very understanding. I remember while we were shooting for Malgudi Days, a national bandh was declared. We were shooting in the remote regions of Agumbe and no one would have known whether we worked or not. But Shankar realised that we had worked continuously and so cancelled the shoot because of the bandh. Instead, he took all the kids to Malpe beach where we had a great time. Makeup artistes were paranoid about our skin tones and continuity issues, but Shankar Nag just wanted us to have fun. When you say Shankar Nag, 'speed' is the word that comes to my mind. He spoke of animation and graphics then when it was not the norm. He always thought of new and interesting things and started work on them immediately. It was like he knew he had very little time on earth and had hardly any time to waste!